In the English language, we seem to have multiple words for every thing but there is no word in English that hygge translates directly into. In fact, there doesn't seem to be a word in any other language that means exactly the same thing. Other Nordic languages have similar words but those words don't seem to convey quite the same spirit. Hygge is a concept, but it is also a verb. The Danes live their lives around the idea of hygge and compound words have grown around it. This is a little book that made me want to pull out blankets, candles, and put a stew on to simmer. 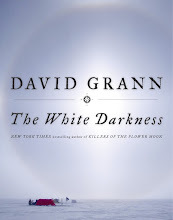 So, yeah, maybe a book to study in the fall or winter, rather than the summer. In Denmark, of course, they don't get summers like we have in Nebraska so I'm not sure what they would do to introduce hygge on a day when the temps are in the 90's. Or do I? After reading this book, I sat and pondered how I can make the ideas work for me this time of year and I came up with some ideas that I think are hygge, summer style - comfy cushions on the patio furniture, a table full of candles, soft light-weight cotton blankets for the evenings when it gets cool, blooming plants, friends around a fire, and summer comfort foods ( you know, strawberry shortcake and s'mores). Yep, I think I've got this. This quarter Danish girl has got this. There's nothing in this book that anyone can't do. It's largely a matter of putting it all together and getting yourself in the right frame of mind. For an introvert like me, the hardest part will be making myself spend time with my tribe. Not that I don't enjoy that, I just have to remind myself of the happiness it brings me and make it happen. If the Danes can be the happiest people in the world with their weather, I think this might just be my ticket to survive Nebraska's winters. I love everything about this concept. The sad part is that Americans need help being able to relax and get cozy and achieve a piece of mind that hygge entails. I will admit to being slightly over summer. Bring on winter and the sweaters and fuzzy socks and blankets! Hygge is perfect for our falls and winters. I'm going to really try to work with it to keep myself from getting the winter blues. I love the idea of this but I never sit down long enough to do this in practice. I have the book but haven't had a chance to really sit down with it. I can't wait for fall. I don't know. When it's cold out I seem to be more in tune with comfort. There is something that feels more comfortable about curling up with a blanket and a cocoa than sitting around on the patio in shorts with a cold beer. Even though I like them both! 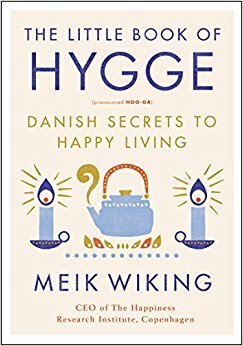 This book is on my TBR and I love the concept of Hygge. Just this review has me wanting to pull out candles and blankets and bundle up for some cozy reading! Right?! I'm going to be so ready to hygge this fall and winter! I love that you named your house! That even feels like a hygge thing to do!